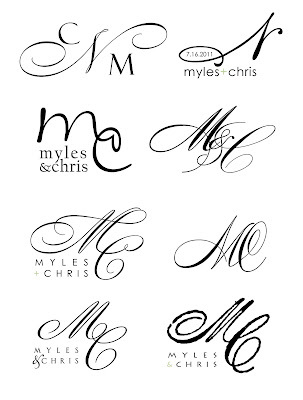 More and more Brides are coming to us, and even beginning the process, with getting their monogram or "wedding logo" designed! It's even where I started four years ago planning my own Wedding! 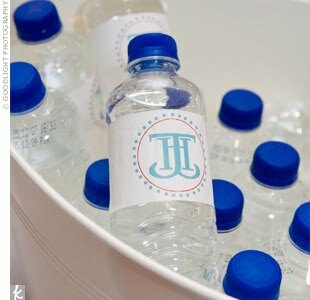 Once I had the logo and colors done, it was an easy way to make sure everything in our Wedding flowed and followed in the 'feel' of our summery island fete. 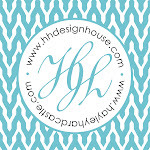 Designing a couples' logo can be as easy as liking a certain font, or a difficult as trying to define two distinct personalities into one little piece of art...but that's really symbolic of the whole deal, right? For a special couple we're working with right now, we put together the following options to choose from to blend her traditional and elegant style and his preference for a crisp and clean aesthetic. Which one would you choose? I know which one they LOVED....turns out it's a blend of two!